Please download the results from the 2016 Fundraising Survey here and the Fundraising Calendar here Parent Council here created based on those results, which were approved at the Tuesday January 17, 2017 Parent Council Meeting. By the time the survey was conducted in November, between Parent Council and IRC initiatives, we had already asked families for donations (either cash or goods) 6 times. Seems we may have exhausted donors! Various suggestions for new and different fundraisers - fantastic! It would be most helpful for people who have experienced successful fundraisers to bring forward details and contact numbers, and perhaps volunteer to assist or run them. Everyone is welcome to participate, we love new faces at Parent Council! Interesting to note: QSP raised roughly $8,000 in sales but only about $3000 came back to IRC. If we only take in 1/2 as much from the next Cash Donation Campaign as we did for QSP, we wouldn't have to run QSP or Acorn at all next year! As you may be aware, there was some confusion regarding Tax Receipts. We would like to thank everyone who donated and apologize for the confusion. 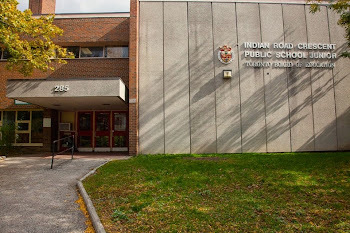 With the best of intentions in mind, the interim Principal tried to assist by taking the reigns and directing money to an IRC/TDSB bank account which would sit in a donations budget line and allow for TDSB to issue tax receipts. This is not ideal for Parent Council, as retrieving those funds is a complicated process. At this time, Parent Council cannot issue tax receipts from our own account, but we continue to look into the best way for us to do so in the future. Thank you to all those who participated and for your continued support of all our fundraising initiatives! POSSIBLE CUTS TO CHILDCARE - WRITE TO YOUR MPP! Attached for your information is the latest fact sheet on the possible cuts to childcare in the 2017-2018 City of Toronto Budget, as well as some sample letters that trustees are encouraging parents to send to local councillors, the Mayor and MPP's. Download the fact sheet here. Download the sample letter here. Minutes from this month's meeting, as well as any other updates will be posted as soon as available. Stay tuned! Please join us at the first Parent Council Meeting of 2017! Among other important topics, we will be reviewing the results from the 2016 Fundraising Survey, and approving fundraising initiatives for the remainder of the school year, and into next Fall. Thank you to all the parents that took the time to complete this survey! After the meeting, results will be posted on the IRC Blog, for all to see. To help promote understanding and transparency about the City of Toronto’s 2017 Budget process Gord Perks and Sarah Doucette will be holding a public meeting to discuss the City's Long-Term Financial Plan and the 2017 budget. This evening is an opportunity have a conversation about how we raise revenue, how we manage our finances, and how we invest in our City. This will be a joint meeting between Ward 13 Councillor Sarah Doucette and Gord Perks, but is open to anyone interested.